Are you interested in learning how to play your major scales? Then you've come to the right place. 50% of all songs you're probably going to play will be in a major key. So why not understand the music theory behind what makes those songs so great. 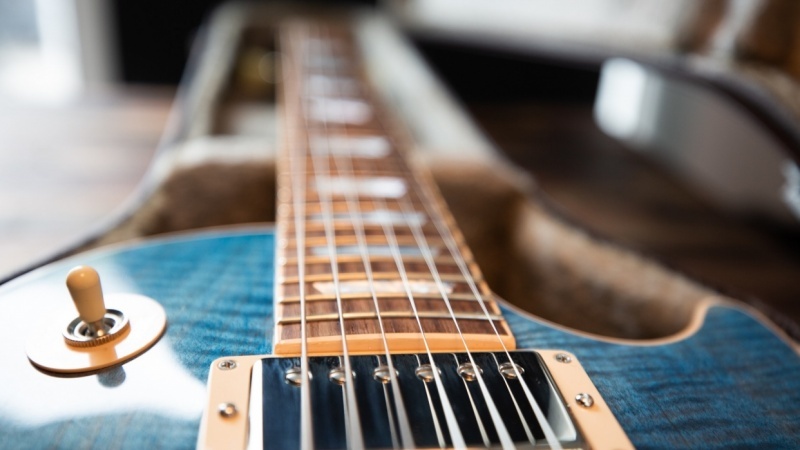 This course was designed to teach a you how to play any major scale, pentatonic scale, or major chord tones in any key anywhere on the neck. This material is absolutely essential to becoming a good guitar player. Bonus book just added for 2019! Why should you buy my course? My name is Chris Rupp and I'm the founder of the Guitar Training Camp. I've been teaching guitar full time for over 18 years. I have taught more then 30,000 individual private guitar lessons. I teach guitar students online all over the world. I have a bachelors of music degree from the world renowned Berklee College of Music where I studied with some of the best guitar players on earth. I created a successful line of guitar instruction DVDs that sold very well and garnered the attention of the "As Seen on TV" folks. I love teaching guitar and helping students become better musicians through the guitar. I will answer your personal questions and help you with learning the material in this course. Why should I take your course and not just learn from YouTube? You can try to learn guitar from YouTube but eventually you'll figure out there's so many videos out there is very hard to put the information together in a coherent way. I have students come to me all the time that are tired of watching random guitar videos on YouTube and don't know how to put the information together. With my course you will get a systematic way of learning your major scales. Do I have to be a great guitar player to benefit from this course? No! This course is more geared towards beginner and intermediate players. There's a lot of information in this course so take you're time learning the material. You will have full lifetime access to the course. My name is Chris Rupp and I'm a guitar instructor and founder of the Guitar Training Camp. I am currently teaching live Skype lessons to students all over the world. I'm a Berklee College of Music graduate and have been teaching guitar full time for over 18 years. I have taught more than 30,000 individual guitar lessons.